Heard good reviews on this gun. 30 rounds of 22 mag. Unique gun with high ammo capacity. Highly recommended by brother in law. Had heard a lot of good things about this gun from shooters that own it. Just got lucky too have found one for myself. I had also been told that this gun was the way to go if you just like target shooting cheap, so why not give it a go! How I need some mags,and I will be set. One last thing about the 22 mag. This gun does have POWER!! Wanted this gun, but hard to find. Been wanting this for a while, just to plink with. They have been hard to find. Was just looking at your Christmas deals and ran across this. Figured it would be a good Christmas gift to myself. two sons have this gun . I like it very much . 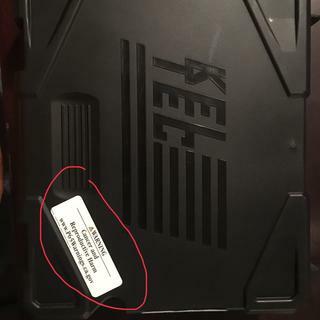 I like Kel-Tec, and great price! I have read good reviews about this gun. Liked it because of the magazine capacity and love the .22 magnum round. Like the 30 round mag, and need an update pinker. Have enjoyed the equivalent carbine/rifle, so wanted to complete the set at a competitive price. I wanted the Olive Green but could never find one so I settled for black Thanks! Something I always wanted been waiting a long time. This is a great price. 30 rd capacity, low recoil, light weight, kel- Ted has a good rep.
Have a FiveSeven, so obviously had to try this too. To tell the truth, just seems like a fun little plinker! IT'S A kEL-TEC, PRICE, & # OF ROUNDS. Had a hard time putting more than 15 rounds in the magazine. Could not get off more than 3 shots before it would jam! Put 120 through it so far without any problems. I don’t like the way the magazine releases, but oh well. I have not shot it yet, but as soon as I have the opportunity I will have some fun. 22 magnum in a semiautomatic handgun with a 30 round magazine is a great idea. Still light in the hand probably a 3-4 pound trigger out of the box and fiber optic sights is an awesome combination. Failure to feed in the first mag but ran great after that. Super fun to shoot!! Fun to shoot. Accurate and holds lots of rounds. 30 rounds of fun and fury. This is a fun gun to shoot. Very accurate right out the box. I like the firepower,you don't have to reload so often. It's a little louder than I expected. Just always wear hearing protection. Worth every penny just a BLAST to shoot . Best Range fun you can buy!!!! I've owned a lot of different guns over the years, including a Grendel P30 -- another George Kellgren design and the progenitor of the PMR30 -- and the PMR30 is about as much fun as any one person can have... it's simply a blast. Super lightweight, even with a full mag, and perfectly reliable. No issue loading the magazine full... not sure why others have trouble (it does take a bit of finger/hand strength, and following the loading protocol). Top it off with a Burris FF3, and the PMR is the perfect pinker! Highly recommended!! Great pistol, fun to shoot, accurate. I had a couple of FTFd out of 250 rounds that I blame on myself. Only drawback, you can go shoot up a bunch of ammo in a very short time! Get yourself the nest style speed loader, very much worth the $$. Takes the pain out of loading those 30 round mags! This thing is a hoot to shoot. Plenty accurate, rapid firing, 30 round magazine. I'd have rated it a five but I had one failure to feed - but I have to admit that that magazine full had 50 year old rounds in it! 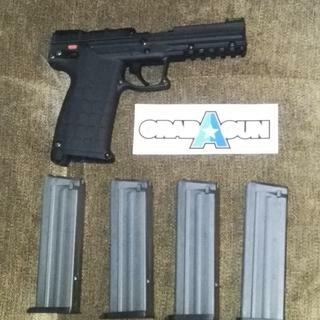 Great plinker for the price. Awesome!!!! Just love this gun. Most fun ever plinking. Don't let the .22 cal fool you it is a magnum. I love it so far, for the price. Light, feels good, low recoil, almost no recoil. Shot 200 rounds thru it and kept a pretty decent group even it 60 feet. There worst part is that the magazines are somewhat weak so it's easy to misload the mag. I'm hoping with a little practice that I can fix the problem with just passing attention to the way I load it. Good pistol. Have 11, 30 round mags. Light and deadly. PMR 30 gets two thumbs up here. I enjoy shooting this pistol. Takedown is simple and necessary as the rimfire ammo is typically dirty. The weapon fired well with a few misfed rounds. After the first 150 to 200 rnds it was smooth sailing from there. No more hang ups. Make sure and double check the front site apperature mine came loose and was shooting way right before I realized I wasn’t even on paper. Overall, it’s a great hand gun. Best price, excellent service, fast shipping. All reasons I continue to do business with GrabaGun. VERY FUN GUN. ATTENTION GETTER AT THE RANGE. Purchased this gun about a year ago when I was finally able to get one without paying double the msrp. As some of the other reviews say, it is my favorite gun to shoot. When your at an indoor range it sounds like a cannon going off and with 2 30 round mags your still shooting while everybody else is reloading. The gun itself is super light even with 30 rounds in it. Not sure what the trigger pull is on it but you basically touch the trigger and it goes bang. It's not a problem but it's something to keep in mind. Like I said before it is one of my very favorite guns to shoot, so if you are thinking about getting one and can find one in stock, Buy it. You won't regret it and if you don't like it you will have no problem selling it. The only drawback is finding 22 magnum ammo but it has started coming around just like the 22lr did. I've probably put 400-500 rounds through mine with absolutely no issues. 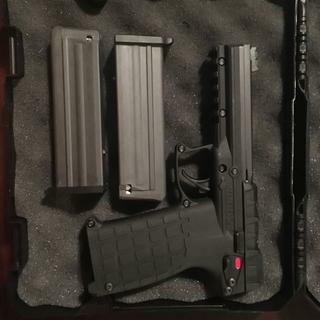 Finally got a Kel-Tec PMR-30. Took them a while to get in stock and I’m lucky enough to be able to receive the alert and order before they were out of stock. Ordered the pistol on Thursday AM and received it the next afternoon at my local FFL dealer. Best price around just a little over MSRP and very lost cost shipping. Easy to deal with and no problems. bought one a few months ago from another retailer that had it on slickguns. I love this gun. It is a blast to shoot. Use the recommended ammo - I am using cci 40 gr copper hp and it just gobbles them up. real head turner at the range when you just keep firing and firing. Most fun gun I own to shoot. Excellent most fun gun I own! I took delivery of my PMR 30 last week from a small gun shop near my home. I was looking for a small .22 for my wife when the store owners said we have a PMR 30. Really I have heard of them but never saw one in person. There it was in the display case. I looked at it and was impressed. I purchased it the next day as the shop was closing and I did not have that much cash on me. My wife, whom is not into guns saw the u-tube and said, will you get me one of those. I was shocked. I purchased it the next day when the shop opened. The range experience has been fantastic. I have only experience (1) FTF and the was on the second full mag.. I have taking this to the range (3) times in the first (4) days of ownership. I paid a little more than most ($475) but I am not waiting to get my hands on one. It has been money well spent. The most fun gun I have, even better than the GSG-5 which was the most fun gun before it was unseated by this beauty. Get one, It will be love at first shot. Bought my Kel Tec about 2 weeks ago stripped it down which is very easy cleaned and oiled it and took it to the range. Used Winchester super x 40gr. Shot about 300rds never had one problem. Feed was good no jams. Paid out the door 381.00 best pistol for the money. I'm a police officer and firearms instructor and also an armorer. Find no faults with the weapon.